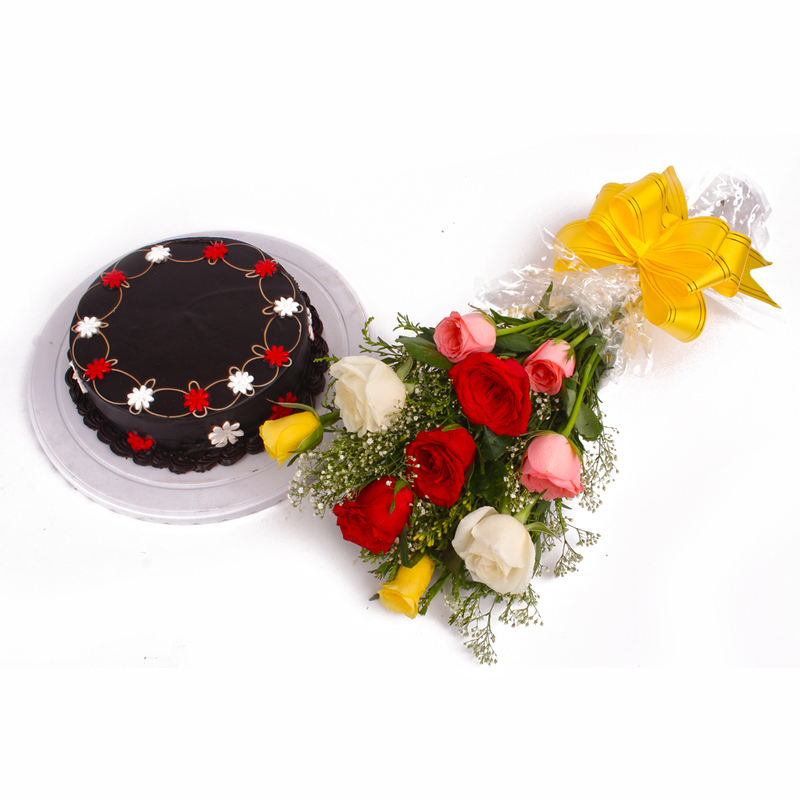 Product Consists: Bouquet of 10 Multi Color Roses along with 1 kg Chocolate Cake. Express the message of purity, love and innocence by this exotic flower hamper. 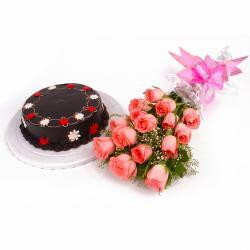 Make him / her feel special by gifting these lovely bunch containing ten colorful roses along with one kg chocolate cake to convey your feelings to the one you love. 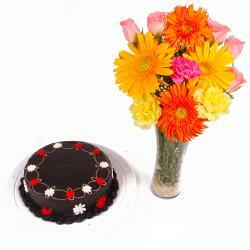 This fantastic flower hamper is perfect to elate loved ones on occasions like Birthday, Anniversary, Engagement, Pongal, Teachers Day and so on. 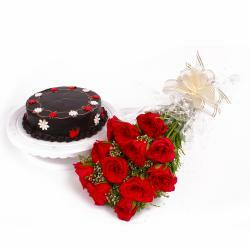 Order this wonderful gift item which is available online for same day, fix time and midnight delivery option. Send this bountiful hamper along with other Gifts to India through Giftacrossindia and make your recipient feel special. 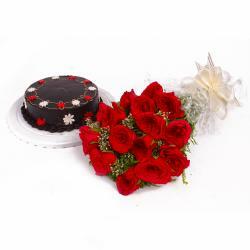 This gift hamper contains : Bouquet of 10 Multi Color Roses along with One kg Chocolate Cake.